Have you ever felt called to something? A calling is an inner desire or impulse that spurs you to pursue a vocation, a profession, or even a course of action. When you truly feel called to something, you take whatever steps are necessary to accomplish what you are called to do. A calling can be a result of the influence of family or friends, it can be a result of things you have read or learned through experience. But no matter what brought you to feel called to something, you will have a desire not just to accomplish it, but also to do so to the best of your ability. All who follow Christ have a calling. That calling comes from God and the purpose of that calling is to glorify God, by helping to further His kingdom through the work that He planned for us long before we were born. That calling could be to full-time ministry as a pastor or a missionary. It could be serving in a volunteer capacity in the church. Or it could be shining the light of Jesus in the world while at work or in school. God’s Word says that whatever that calling may be, whatever work God has called us to do, we should carry it out in a manner worthy of the calling (Ephesians 4:1). That means doing it in such a way so as to preserve the unity of the body of Christ (Ephesians 4:3). In order to do so, we must carry out our calling with humility, gentleness, patience, and by bearing with one another in love (Ephesians 4:2). When we choose to follow Christ, we become part of the body of Christ. Ephesians 4:4 tells us that there is just one body and there is just one Spirit that indwells that body. That body is the church. As members of that body, we are called to share a common hope concerning our future with God, the confidence that begins when we receive salvation through Christ. Just as there is one body, there is only one Lord, one faith, one baptism, one God and Father of all. The one true God is over all, through all, and in all (Ephesians 4:5-6). And it is that one true God who has given gifts to each one of us. 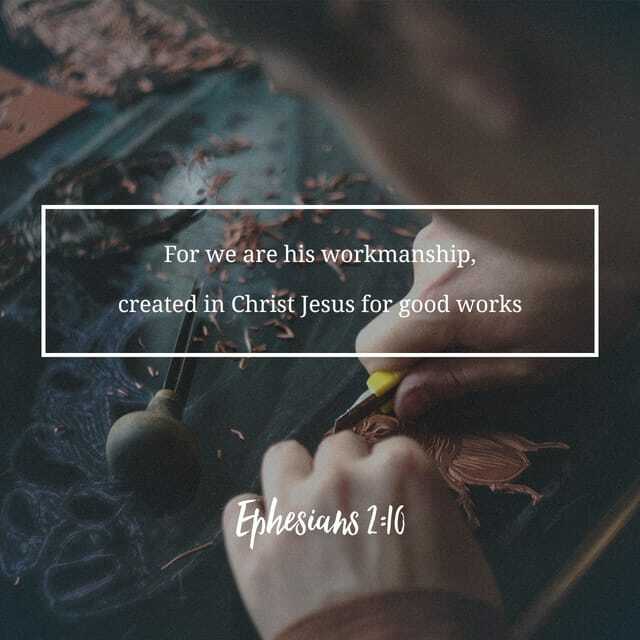 These gifts, which we receive through the Holy Spirit, are given to us in order to equip us for the works of service to which each of us has been called, works that build up the body and glorify God (Ephesians 4:11-12). We all have gifts and we all have a calling. God has provided them. Our responsibility as the body is to discover those gifts and that calling through prayer and to walk in them in a manner worthy of the calling. Scripture quotations marked NASB are taken from the NEW AMERICAN STANDARD BIBLE®, Copyright © 1960, 1962, 1963, 1971, 1972, 1973, 1975, 1977, 1995 by The Lockman Foundation. Used by permission.